. . .Tom ran and shook the bun tree, and soon came back with an armful of fresh currant buns, and as he came he picked a few of the Bath kind, which grow on the low bushes near the pillar. The Book of Dragons is a children’s book of eight stories about, you guessed it, dragons. The book was written over a century ago but holds up surprisingly well. 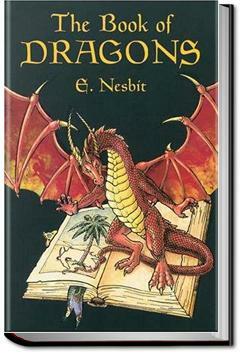 If I told you that E. Nesbit dedicated this book to one of her husband's many illegitimate children, would you be more inclined to read it? Considering the fact that this book came out nealry a century ago, it wasn't a bad read. In fact I'm pretty impressed with the simplicity of the language which makes it easy for the reader to follow the stories.